Based in Uptown Oakland, California, The Law Offices of Pomper & Dettenhaim specializes in representing injured workers before the Workers’ Compensation Appeals Board in Northern California. Pomper & Dettenhaim was established in 2005 when the partners acquired a well-respected and long-standing local firm from the Founding Partner. The firm’s current partners, Patricia Pomper and Jeanne Dettenhaim, began their careers as legal assistants at the firm. Patricia’s tenure at the firm began in 1995, and she continued to work as a law student intern until she became a staff attorney in 1998. Jeanne began her tenure at the firm in 1992 until she became a staff attorney in 1998, as well. Currently, Patricia serves as the firm’s Managing Partner, and Jeanne has served as a Retired Partner since her retirement in 2012. 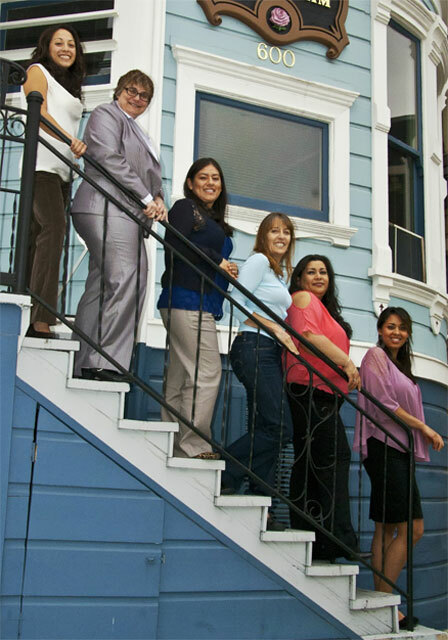 Overall, the firm has served the East Bay community in Oakland for over 20 years. Pomper & Dettenhaim is known for aggressive representation of injured workers before the Workers’ Compensation Appeals Board. Our entire staff has extensive legal experience and knowledge to get the desired results and we are dedicated to providing excellent service to our clients. We believe in a “team approach” in handling workers’ compensation cases for our clients. Our staff members are a critical part of the process and the success of your claim. Our office employs an office manager and 3 legal assistants to assist you at all times. If a problem arises regarding your claim, please contact our office immediately and discuss the issue(s) with a legal assistant. If you would like to speak/meet directly with your attorney, please request a meeting during your conversation with the legal assistant, or click here to submit an online request. Our office highly values our relationship with clients, and we strive to address your needs in the most efficient and effective way possible. Any emergency situation, such as late payments of temporary disability (over 3 days late) or authorization for medical treatment, are considered high priorities. You should contact our office as soon as possible and inform a legal assistant of the problem. Your attorney will be informed of the situation promptly and you may expect a timely response. Our goal is to obtain the maximum legal benefits available for our clients and to minimize the delays and frustrations inherent in the workers’ compensation system. We can achieve our goals by working together as a team: client, attorney, and staff.